After more than 120 years in business, Buurma Farms Inc. remains a household name in the agriculture industry. Since the beginning, Buurma Farms has remained a family-owned business and is currently in its fifth generation of the Buurma family. Headquartered in Willard, Ohio, Buurma Farms manages 1,200 acres in both Michigan and Ohio, as well as 300 acres in Georgia. Frank Buurma, a Dutch immigrant, founded Buurma Farms in 1896. While Frank was working as a farm laborer in the celery fields near Kalamazoo, Michigan, he received word that swamp land was available for purchase at a modest price in an area just south of what is today Willard, Ohio. Frank and a group of other Dutch immigrants decided to move to Ohio and begin the arduous job of draining this swamp land. After completing this task, they divided up the land and formed their own farms. Frank began with only four acres, with celery being the only crop. When he died, his four sons, John, Gerry, Hank and Anco Buurma, managed the farm and grew its size by buying out the smaller farms that were having financial difficulties. As time passed, the four Buurma brothers added more vegetables to the mix as their acreage increased. Their families worked at the farm and helped it to expand. In 1976, Buurma Brothers (as the company was known) bought approximately 1,200 acres of muck land near Gregory, Michigan. By this time the company was producing nearly 20 different crops. 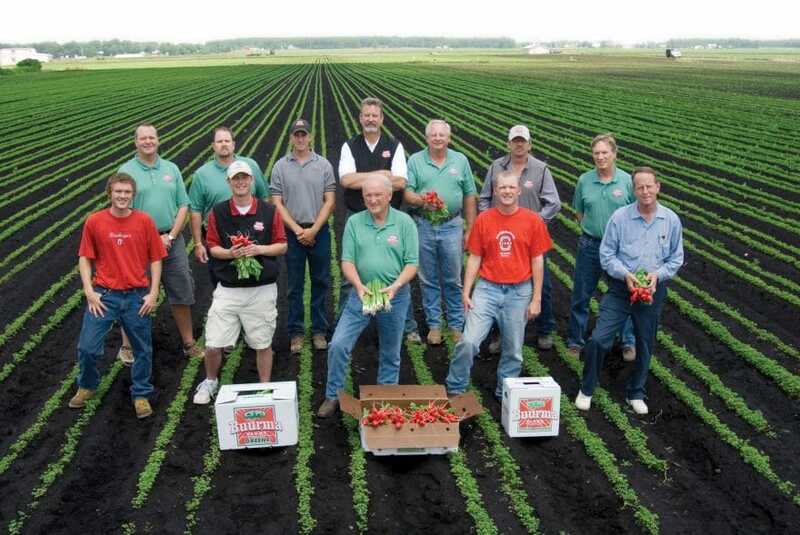 In 1982, the farm incorporated and Buurma Brothers became Buurma Farms Inc.
Today Buurma Farms grow approximately 30 different crops and markets an additional 30, packing all fresh produce under the Buurma and Holland Brand labels. The company produces radishes, beets, lettuce, parsley, southern greens, sweet corn, green onions and celery and ships nearly 2 million packages annually. A majority of its clientele serve the major metropolitan areas east of the Mississippi River. Food safety is the top priority at Buurma Farms. “Since we are completely vertically integrated, we have control from the time the seed is planted until our product is loaded into our customer’s trucks or delivered to their warehouse,” says Ric Buurma, president of Buurma Farms. “We know the history of the land and exactly what inputs it took to produce the crop. We also know who is doing the harvesting and packaging of our crops, what training those employees have received and to whom the harvested crop is shipped through our traceability program.” All commodities that Buurma Farms produces, harvests and packs are audited by third-party auditing groups to ensure consumer safety. Buurma Farms makes it a priority to take care of it workers. With one of the top-rated migrant camps in the state of Ohio, the company works with Community Health Services to provide free health care to area migrant workers. 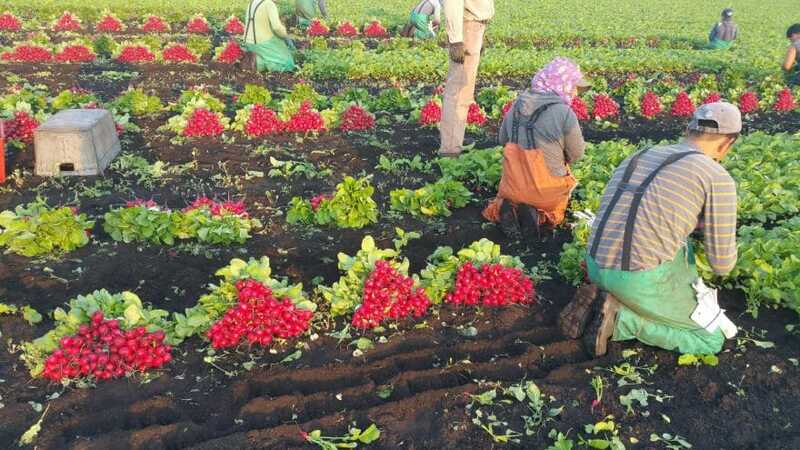 Buurma Farms also provides more than 60 two-bedroom apartments for its migrant workers at zero cost to employees. The farm employs nearly 450 people during the busy summers. Each year Buurma Farms plants more than 100 million radish seeds as well as approximately 4.5 million celery seedlings. 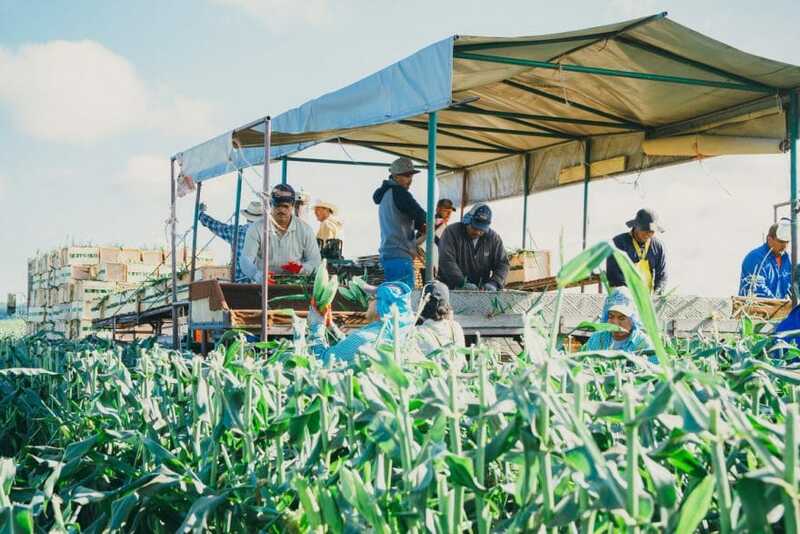 The company maintains more than 100 farm implements, including tractors, wagons, discs, plows, sprayers, harvest aids, irrigation pumps and sprinklers. The operation has recently upgraded its refrigeration equipment, which includes enough refrigeration to air-condition more than 300 homes. With a knowledgeable, friendly sales staff and the ability to care for its labor force, Buurma Farms Inc. will maintain a positive reputation in the Midwest agriculture market.